Last update: Sunday,, November 4, 2018. Home. A Look Back: Where Are They Now? Above L-R: Hannah Rohde [Saint Louis University, Waukesha West grad 2013], Sydnee Matthew [De Paul University, Milwaukee Rufus King grad 2014], and Tahtyanna Peer [Red jersey, Northern Illinois University, Milwaukee Rufus King Graduate 2013]. 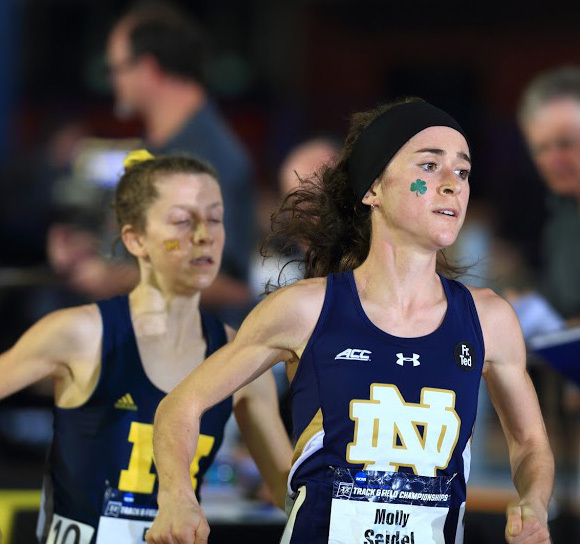 Former University Lake School runner Molly Seidel ended her season in grand style by winning two 2016 NCAA Indoor D1 Championships. Go to Seidel feature. Photograph above supplied by Notre Dame University. 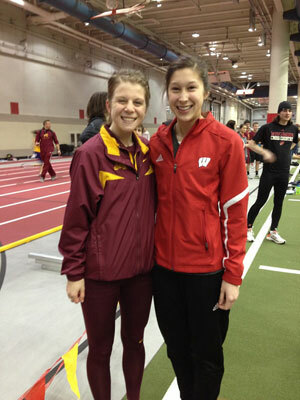 The University of Minnesota track and field teams were hosted by the University of Wisconsin squads in the first Border Battle dual meet on January 24, 2015. 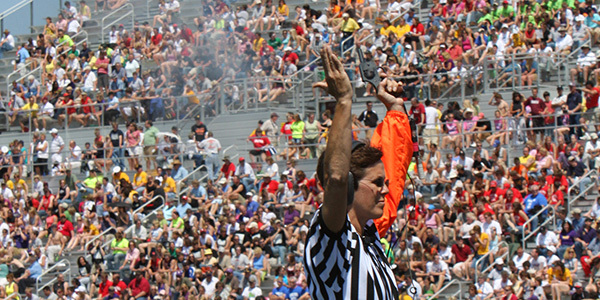 Many former Wisconsin high school athletes competed at the Shell on the campus of the University of Wisconsin. 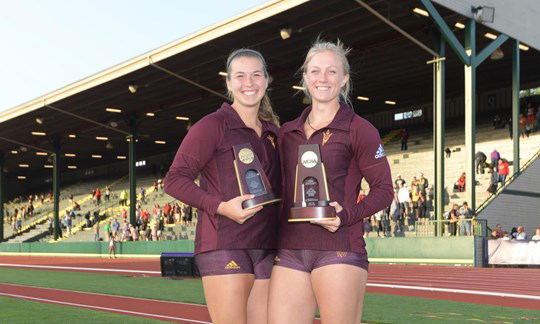 Sussex Hamilton graduate Danielle Barbian set a Harvard School record and an Ivy League record by posting an 11.66 in the 100m dash at the Texas Southern University Relays on March 21, 2014. Above right: Danielle Barbian at Harvard, March 2014. Photo by Tim O'Dowd ~ Used With Permission Of The Harvard Sports Information Department. 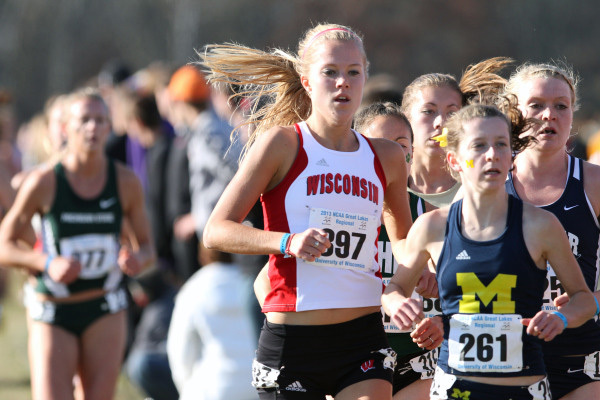 Badger sophomore Emma-Lisa Murphy [Whitefish Bay, 2012] made All-American this past fall in XC at the NCAA National Championships. 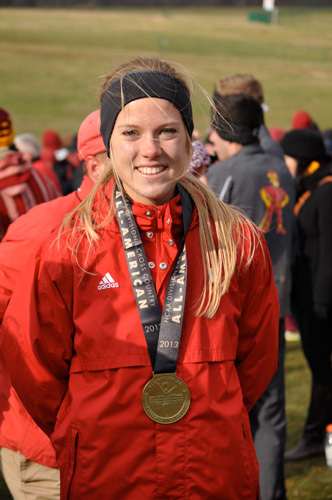 She's also running Track this year as a redshirt freshman and placed 6th at the 2014 Big Ten Indoor Track Championships in both the 3000M and 5000M races with PR's in both events of 9:24 and 16:27 [Murphy smashed her previous personal record by nearly 10 seconds in the 5000m race]. 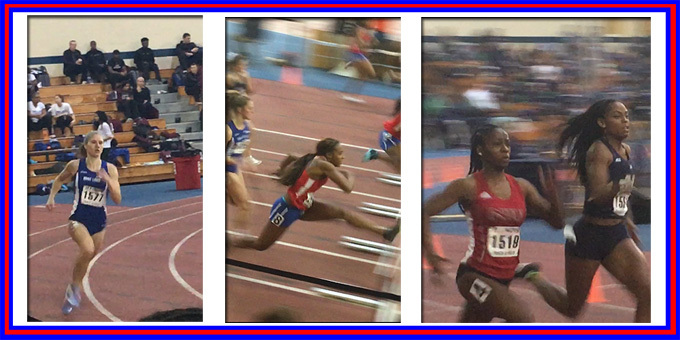 Former Milwaukee Bradley Technical athlete Dezerea Bryant and the Wisconsin High School Record Holder in the 100m and 200m dash events added to her laurels by winning the 2014 D1 NCAA 200m Indoor Championships held in Albuquerque, NM. Bryant who started her college career at Clemson now competes at the University of Kentucky which is coached by Edrick Floreal. 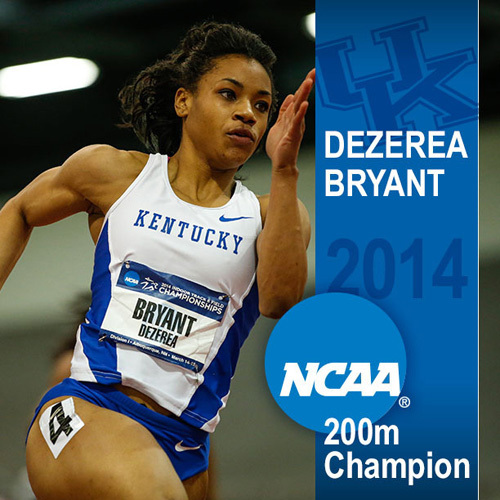 Bryant helped her team to its highest point total ever in an NCAA Indoor Meet competition. 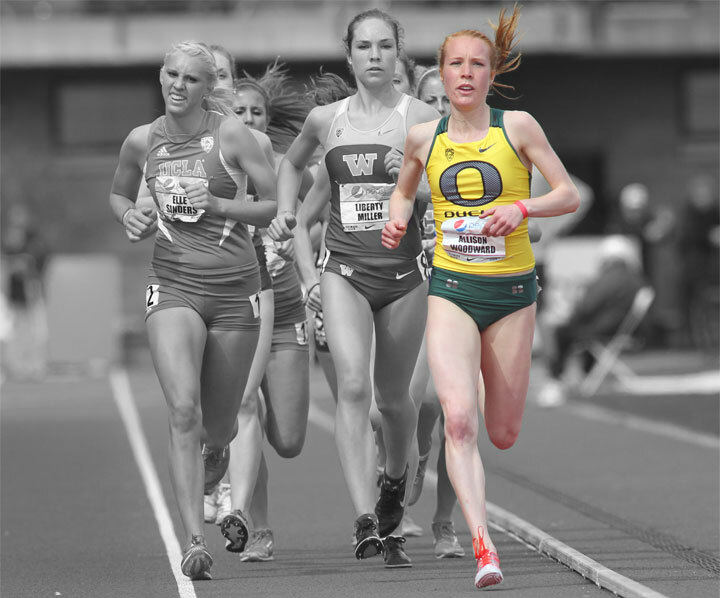 2011 Green Bay Notre Dame graduate Allie Woodward has performed well for the Ducks of the University of Oregon. 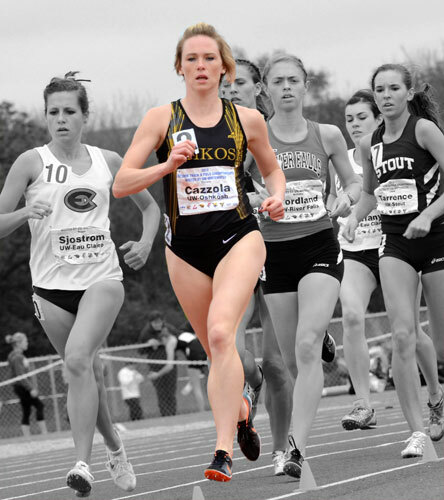 Woodward was a member of the Oregon womens team that won the 2012 D1 NCAA Cross Country Championship. 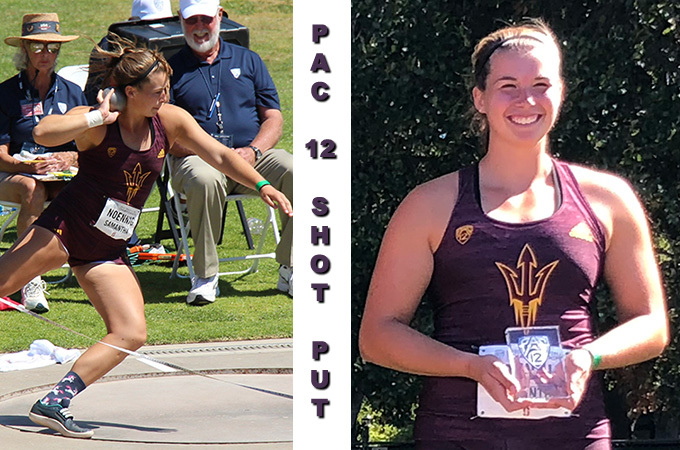 She also gained All-American status with her 5th place finish in the 10,000m race at the 2012 D1 NCAA Outdoor Track and Field Championships. 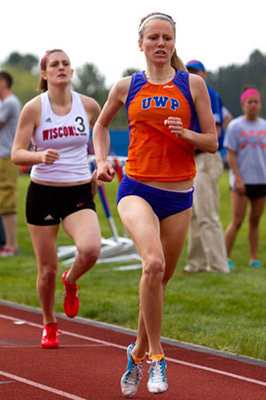 Above right: University of Wisconsin-Platteville senior Ann Tank [Dodgeville/Mineral Point class of 2008] became the 12th Pioneer student-athlete to be selected for Capital One Academic All-American Team honors as selected by the College Sports Information Directors of America (CoSIDA) on Tuesday. 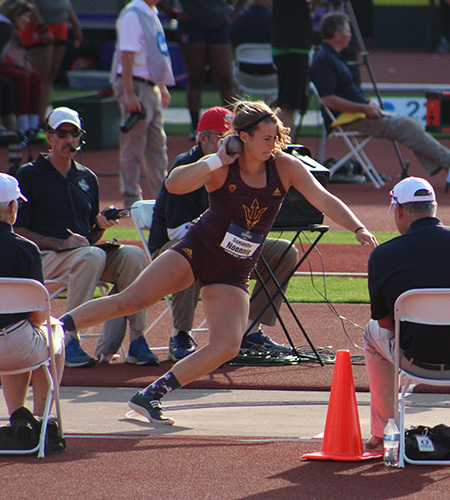 The Dodgeville, Wisconsin native was named to the third team qualified all four years of her track and field eligibility for both the NCAA Indoor and Outdoor Championships. 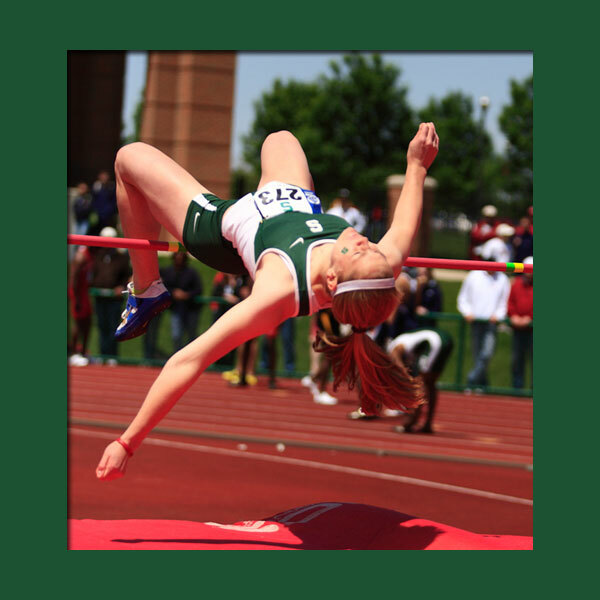 On the indoor circuit, she earned All-American twice in the 800-meter run and two more times as a member of the 4x400-meter relay. 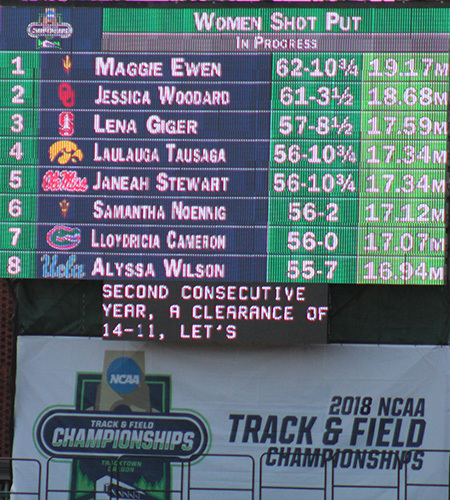 On the outdoor circuit, she was a member of three relays that earned All-American honors and once in the 800-meter run Photographs used with permission of Danny Kambel, Sports Information Director at UW-Platteville. 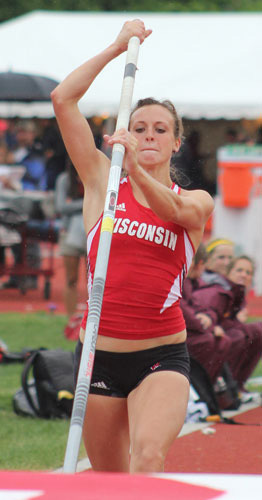 Former Madison Memorial athlete Jenny Soceka won the 2010 Big Ten Outdoor Pole Vault title with a vault of 13' 05.25. 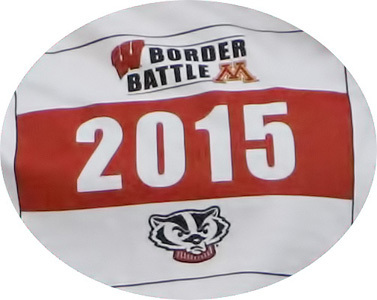 The Badger athlete helped the women to a third place Big Ten finish. 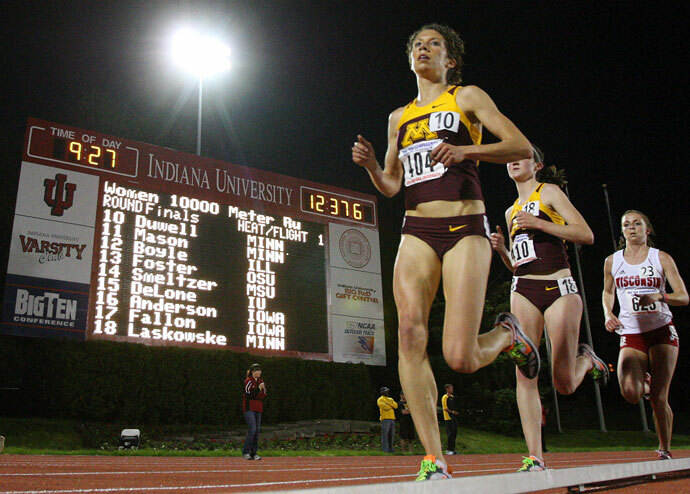 Former West Bend West runner Megan Duwell [#404] finished her Big Ten career at the University of Minnesota by defending her 2009 title in the 10,000m race. In Eric Miller's photographs [above and below] Duwell is shown in the 10,000m run which she won in 34:02.12. Special thanks goes to Assistant Coach Gary Wilson who coaches the runners, Becky Bohm the Associatte Director of Athletic Communications at the University of Minnesota, and Eric Miller a photographer with the University of Minnesota Communications for sending the photographs of Duwell from the Big Ten Meet held on the weekend of May 14-16, 2010. 2nd in the Discus [162' 04] at Big Sky Meet. 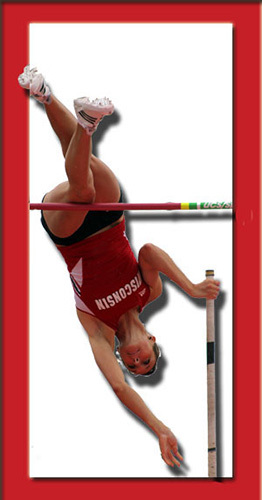 Anna Eisenzimmer XC | T - Dodgeville-Min, Pt. Molly Brion 1 | 2 | 3 - Cameron. 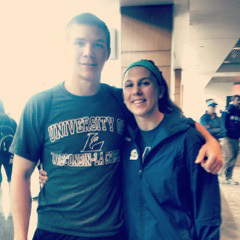 Molly Brion shown below with former Cameron sprinter Joe Koenecke. Koenecke was a D3 All-American in the outdoor 4x1 on UW-La Crosse's Natiuonal Championship team while Brion was an All-American competing for the UW-Stout indoor 4x400 relay team. [Set Marquette freshman indoor mile record on 3/2/13]. 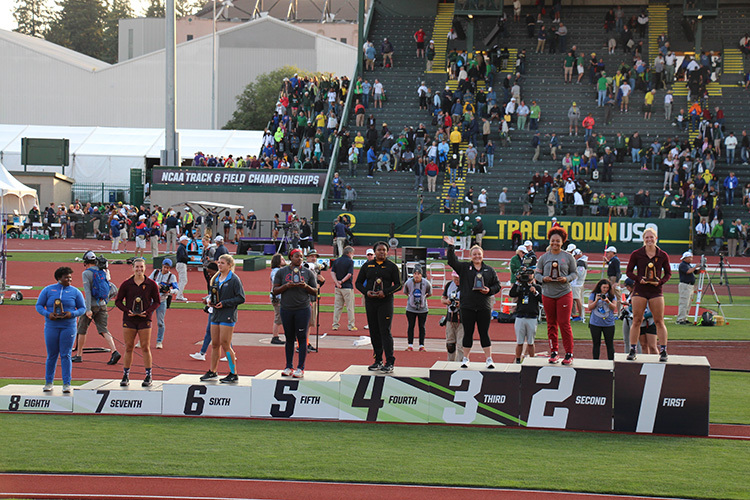 NCAA D1 200m Champion 2014, 2015 - second fastest wind-legal time in NCAA history. Some of the graduated athletes from the 2007 Honor Roll. Some of the graduated athletes from the 2006 Honor Roll. Some of the graduated athletes from the June 2005 Honor Roll. Some of the graduated athletes from the June 2004 Honor Roll. Some of the graduated athletes from the June 2003 Honor Roll.